Run the Program and click on the Analyze button and you'll get a summary of what can be cleaned. 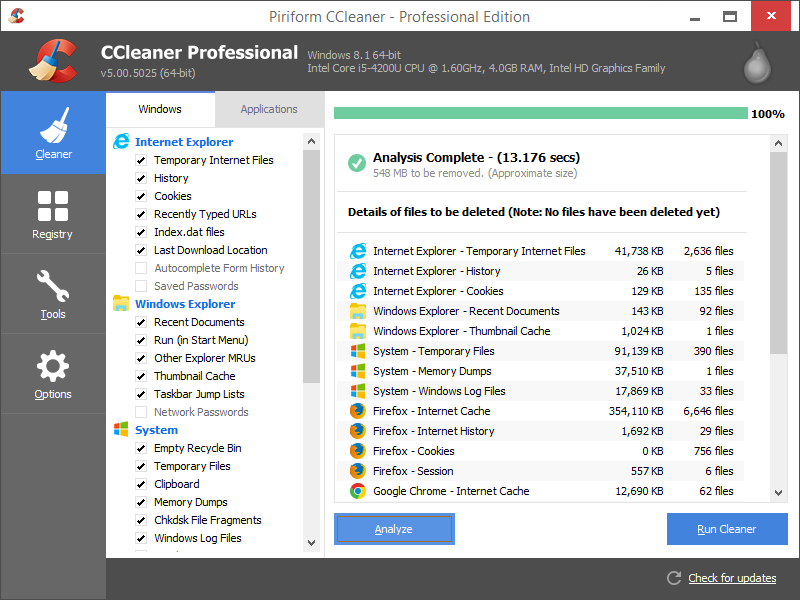 By checking and unchecking the cleanings rules in the Windows and Applications tabs, you can specify exactly what you want to be analyzed. 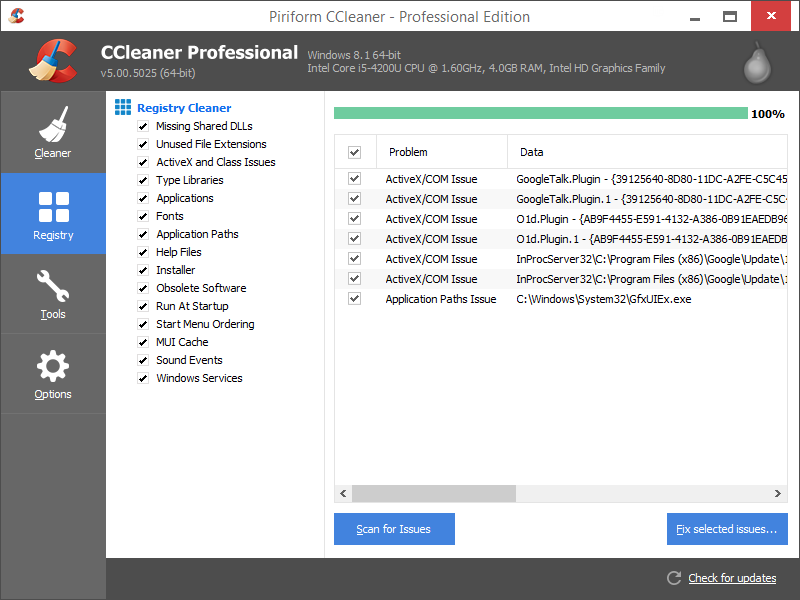 The Registry Cleaner will show you problems it finds and can fix in your registry. 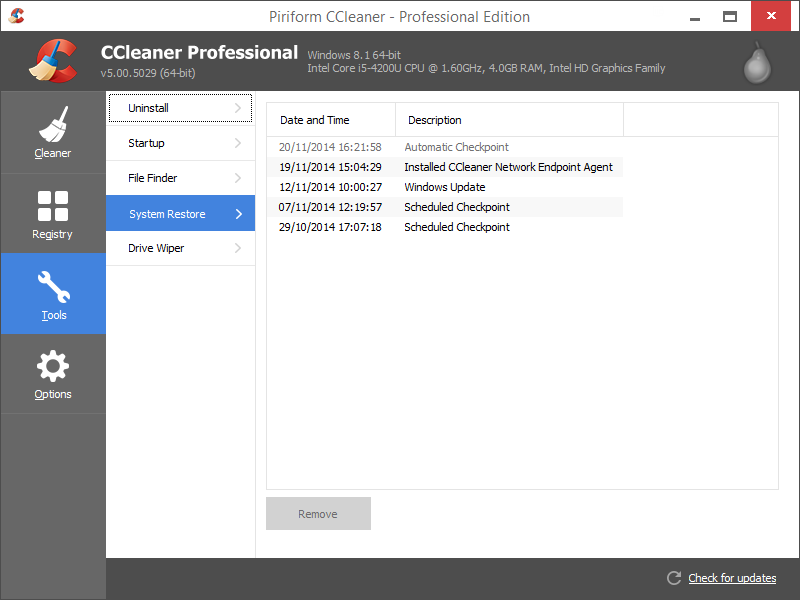 The Uninstall Tool will show you all the applications installed on your PC and allow you to uninstall any you no longer use. 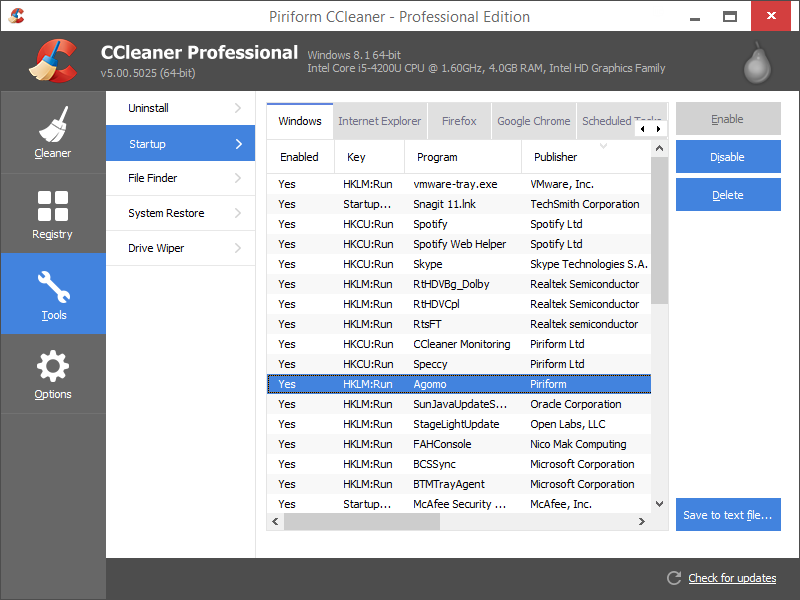 The Startup Tool shows you what programs are run when you turn on your computer. 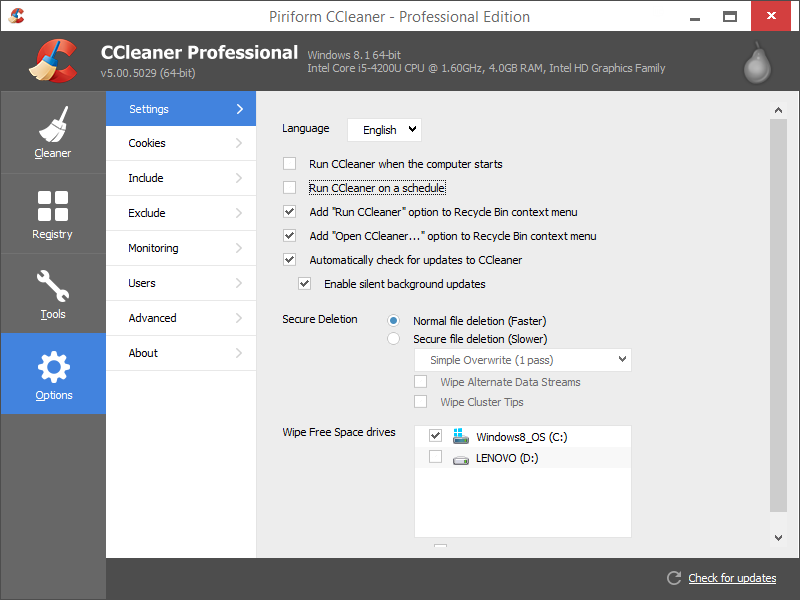 The System Restore tool allows you to view and delete any of the System Restore points that Windows creates for your PC. 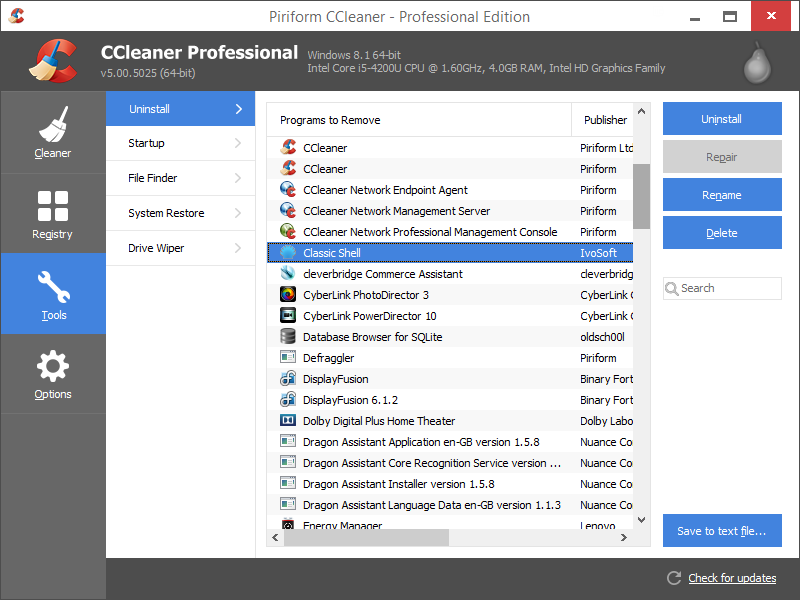 CCleaner has a comprehensive set of Options for you to customize it for your computer.